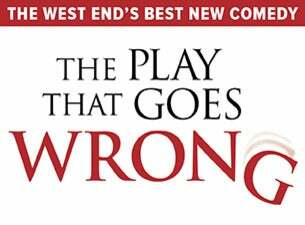 The UK’s Olivier Award-winning theatre company Mischief Theatre is bringing its comedy masterpiece The Play That Goes Wrong to Australia for the first time from February next year. The play introduces ‘The Cornley Polytechnic Drama Society’ who are attempting to put on a 1920s murder mystery, but as the title suggests, everything that can go wrong…does, as the accident-prone thespians battle on against all the odds to get to their final curtain call. The Play That Goes Wrong is a highly physical comedy packed with finely-tuned farce and slapstick delivered with split-second timing and ambitious daring. Starring a bunch of ‘would be’ Australian thespians including Logie award-winner BROOKE SATCHWELL, DARCY BROWN, FRANCINE CAIN, ADAM DUNN, LUKE JOSLIN, GEORGE KEMP, JORDAN PROSSER, NICK SIMPSON-DEEKS, TAMMY WELLER plus original UK cast member and current Mischief Theatre actor, JAMES MARLOWE. Winner of Best New Comedy at London’s Olivier Awards last year and acclaimed with five star reviews, The Play That Goes Wrong is currently playing to packed houses in the West End and makes its debut on Broadway next year. This is Mischief Theatre’s first Australian Tour and they look forward to Going Wrong, upside down, on the other side of the world.